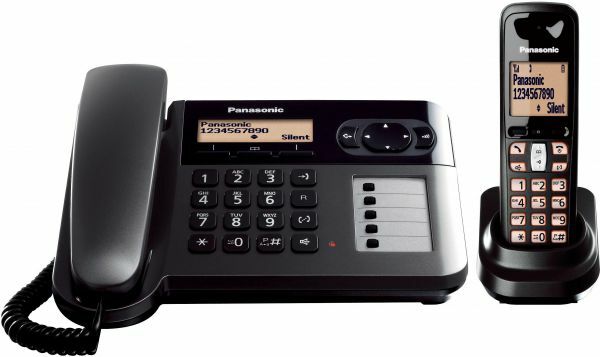 The KX TGF-110 BXT from Panasonic features a combination of corded and cordless phones that offer increased functionality and versatility in and around home. The hands free speakerphone lets you talk on the phone even when you are busy. It is also handy for taking notes- typing- and more. For easy dialing you can store up to 100 names and numbers in the built in memory. Built caller id facility- it features an LCD screen that displays caller’s number and name if stored to let you know who is calling. Other functions include 10 redial memory- 10 polyphonic ringer melodies- ringer and charger indicator- alarm function and an alphanumerical keypad.